Life insurance policies should always be considered when making an estate plan or as part of a retirement plan. While life insurance policy options were limited in the past, there are a few more options in today’s market that make them more attractive. There are several issues to consider when deciding how a life insurance policy can fit into your estate plan. Unlike other assets in a person’s estate plan, life insurance is not an asset that the covered person can routinely access in his lifetime, unless it is through a policy loan or by cashing out a previously acquired policy. There are some policies that are marketed as having an investment component, and these usually come with higher premiums. The question of which kind of policy may be best suited to a particular individual is one best discussed with a financial advisor. In terms of estate planning, the proceeds of a life insurance policy usually go to the beneficiaries listed on the policy. The covered person does not bequeath the policy payout in his will, and any such attempt would be defeated if the person named in the will is different from the named beneficiary on the policy. If life insurance policies are paid to the estate, they can be reached by the estate’s creditors. Life insurance policies can also be used to ensure business continuity or as part of a business succession plan. If the proceeds of a life insurance policy are included as part of a business owner’s estate, it can allow some beneficiaries to buy out other beneficiaries’ interests in a family business. Without the policy, beneficiaries who wish to keep their interests in the business may need to sell some business assets to buy out beneficiaries who do not want anything to do with running a business. Life insurance policies paid out to beneficiaries also help the beneficiaries avoid taxes. Life insurance proceeds are generally not subject to taxes. 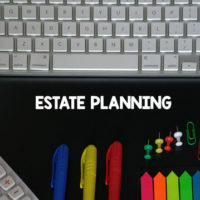 If the proceeds are paid out to the estate, they would be subject to an estate tax, which could minimize the amount that is eventually paid out to the beneficiaries. There is also an option to form a trust and make the trust the owner or beneficiary of the policy. Trusts can be funded in this way or through a person’s will. This may be a good option for people who are creating an estate plan with young children in mind. Children cannot inherit property, and the use of trusts is one way to ensure that the children receive an inheritance that can be invested and last longer to support the children as they grow up. If you need guidance on how you can use life insurance policies as part of your estate plan, contact a knowledgeable estate planning attorney at Meyer & Spencer, P.C., with offices in Pleasantville and Mahopac, New York, and serving Westchester and Putnam Counties for a consultation.